It's Monday morning, a start of a new week! After being on Spring Break all way, I'm honestly not ready. I wanted to say thank you so much to everyone who wished me a happy birthday and those who reached out to tell me how much they loved my last post. You guys are the best and the reason I keep this going. The Opal Collection at Target is absolutely breathtaking. There are three lines, Indo Chic, Canyon Sunrise, and Mallorca. I still can't figure out which is my favorite line but so far I love this natural wood floor mirror for my bedroom! 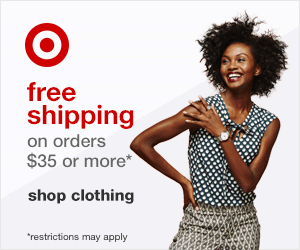 It's also free shipping on home goods $35 and over. Currently Binge Watching: The Affair. S0 good! I was looking at some places in Chinatown that I wanted to shoot and came across this. So interesting! I didn't think we would make it out until my friend said he wanted to eat lunch at this place where he interviewed business owner. I turned out to be such an awesome little alley. Can't wait to show you all the pictures! Here are some, in class you missed my last post. Finding icecream that does not have a almold, coconut, or dairy base is near imposible - until I came across this. I tried a new restaurant yesterday and it is a must-try. It's called Modern Love Brooklyn. The food is SO good. I will definitely be going back!